Comfortable beds. Large space. Location is super nice. Very clean. It's a good area in the citycentre, was very clean. The lady who clean the room realy clean it. Everything was very easy, the owner nice and the place clean and confortable. I definitely recommend it. Great location for a good price. Room was spotless! Great location, in the middle of Sibiu, very clean apartment and tastefully furnished. 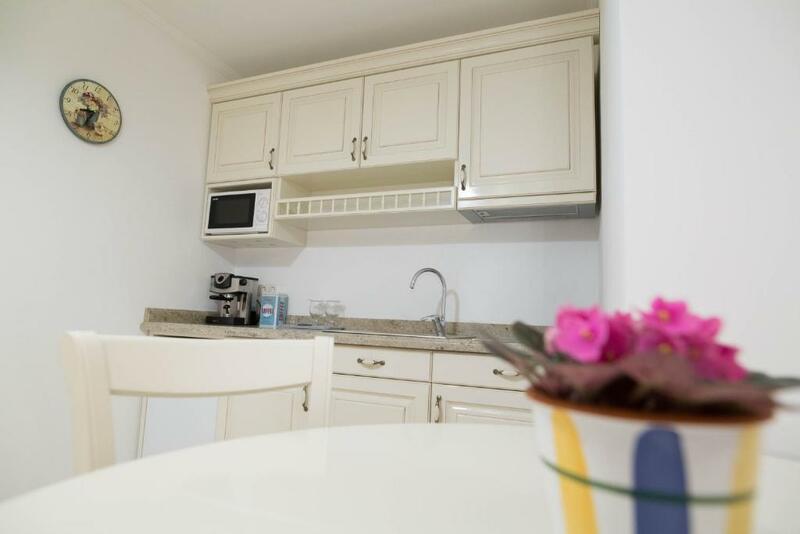 Lock in a great price for Baroc Apartments Sibiu – rated 9.4 by recent guests! One of our top picks in Sibiu.Baroc Apartments Sibiu provides accommodations located in Sibiu, a 5-minute walk from Piata Mare and half a mile from The Stairs Passage. Complimentary WiFi is featured. All self-catered units feature hardwood floors and are fitted with a satellite flat-screen TV, an equipped kitchen with a fridge, and a private bathroom with shower. Some units have a seating area and/or a terrace. The Council Tower of Sibiu is a 17-minute walk from the apartment. 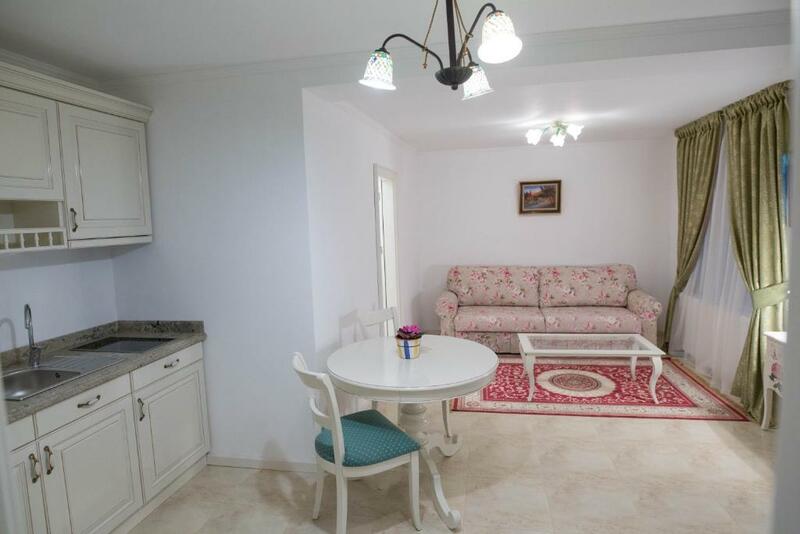 The nearest airport is Sibiu International Airport, 3.1 miles from the property. This is our guests' favorite part of Sibiu, according to independent reviews. 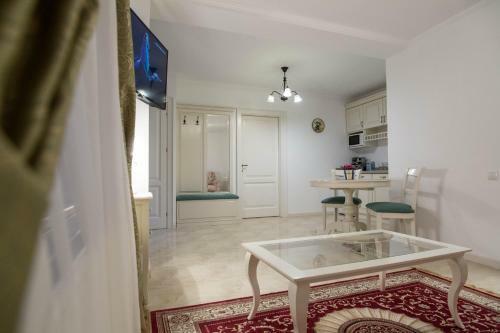 This property also has one of the top-rated locations in Sibiu! Guests are happier about it compared to other properties in the area. 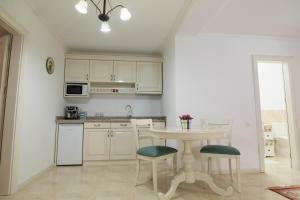 뀐 Located in the top-rated area in Sibiu, this property has an excellent location score of 9.8! When would you like to stay at Baroc Apartments Sibiu? Public parking is available at a location nearby (reservation is not needed) and costs RON 13.98 per day. This studio features a private entrance, satellite TV and electric kettle. 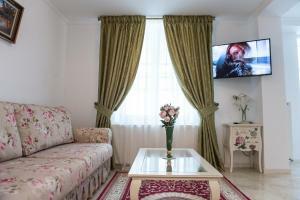 Baroc Apartments - o locatie de lux situată in centrul istoric al orașului Sibiu,(zona pietonala) mobilata si utilata in stil baroc. (saltele de ff buna calitate!) Wi-Fi de mare viteza inclus, LED TV, spatiu de relaxare, terasa, bucatarie si living open space. Baroc Apartments este situat in zona ultracentrala din Sibiu, pe pietonala Nicolae Balcescu - la doar cativa pasi de Piata Mare, Muzeul Brukenthal, Turnul Sfatului si Podul Minciunilor. Veti fi la 2 minute distanta de majoritatea evenimentelor culturale de anvergura din Sibiu. Baroc Apartments este locatia ideala pentru explorarea orasului istoric. In Sibiu’s old town, you’ll find the remains of an old city wall and buildings with colorful, sloped roofs. The upper and lower towns are home to the main sights and charming squares. House Rules Baroc Apartments Sibiu takes special requests – add in the next step! Please contact the property 30 minutes before your estimated arrival time with the contact details provided in your confirmation. Please inform Baroc Apartments Sibiu of your expected arrival time in advance. You can use the Special Requests box when booking, or contact the property directly using the contact details in your confirmation. One of the most picturesque neighborhoods in Sibiu! Nothing I can think of. Price was high but still below the average. We had to leave the curtains closed so it was a little dark inside. We booked for a family of 6 and the apartment doesn’t fit 6. The owner wanted extra money for towels and sheets for the children even though it was on the confirmation that we are 6. Small bathroom, not very comfortable. Terrible smell of molds if you're sensitive to it, even though freshly painted. Lacking pillows, the host speaks little english but the person who was at the property spoke good english. I called to arrange an arrival time and the owner, as far as I understood, asked me to send an SMS and he would use an internet translator to see my message. Not having had a reply we just turned up.The property is down a sort of passageway that leads to a medical office. The area has an enclosed feel, and the 'studio' is very overlooked. I did not realize from the pictures online that the door and window of the bedroom were directly on this passageway, and people wanting access to all the other properties on the passageway had to pass our window. While there were very few other properties involved, and hence very few passers-by, for privacy, we had the curtains and blinds closed the whole time we were there. I'm not sure this should be described as a studio. It's essentially a bedroom with an ensuite shower room, and a kettle and fridge don't make it a studio in my eyes. There's a broken cellar door along the passageway, a few steps from the property, that would make this a very unsafe location for unsupervised children. The 'studio' has been sympathetically converted using quality materials and good design flair. The location is amazing if you value being in the heart of things. The bed and bedding were very comfortable. The bedroom is large and the wooden floor is beautiful. An iron, a kettle and a small fridge were provided. 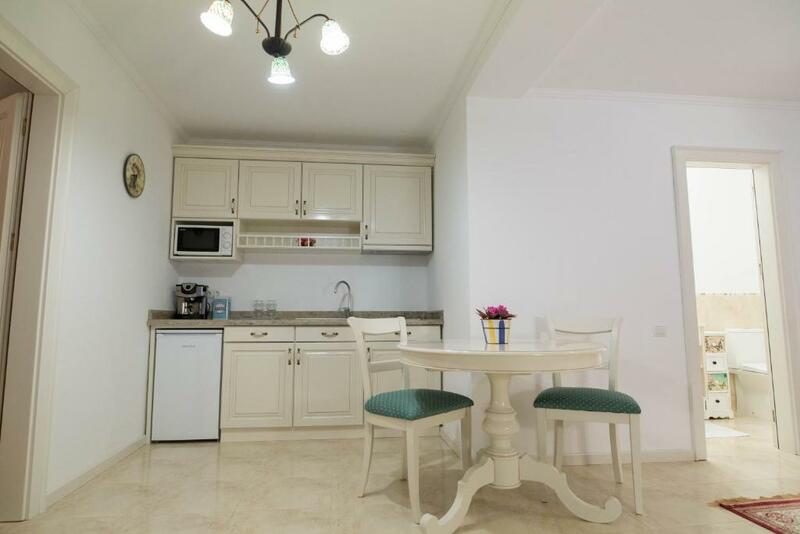 Elegant, fantastic location, high quality throughout and very helpful owner. Highly recommended.? 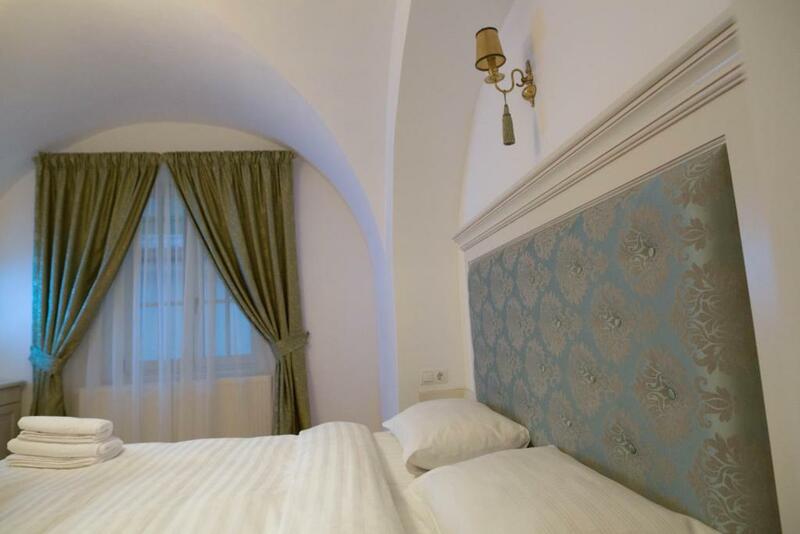 Excellent location, right at the heart of Sibiu old town. Many options for food, drinks, snacks, super markets etc nearby. Although the owner doesn't speak English, communication with him was super easy and fast. He is very polite and happy to tend to all your needs. I loved the apartment's vaulted ceiling. Although the apartment is on the groundfloor, I felt perfectly safe during my stay.